Creating a culture of innovation? What are other organizational leaders doing to foster a culture of innovation within their organization and create and develop real innovations of impact? This article shares 10 of the most basic trends to apply for organization innovation. 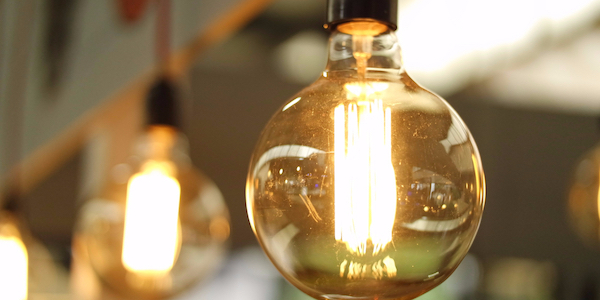 In our research interviewing over 100 innovation leaders within large organizations, We found themes of organizational innovation trends and approaches to put into practice to help your organization (and yourself) to innovate. Review this checklist of 10 basic practice trends for organizational innovation – Are there any approaches or techniques you might like to learn or experiment with to help your organization to innovate? Bureaucracy seems to be prevalent in particular industries and especially in larger organizations. The innovation leaders emphasized the importance of learning how to navigate their own organizations in order to be the most effective at their jobs. To track idea submissions, some of the innovation leaders mentioned using Idea Management Software. One company used the software to return rejected ideas to their original creator, including an explanation as to why it failed to proceed. The creator could then use that information to refine his or her idea. Many of the innovation leaders I interviewed had undergraduate degrees in engineering but later went on to get MBAs to learn more about their business, industry or company. When they understood their business beyond the engineering, they advanced to a higher level of innovation. The innovation leaders also frequently mentioned the idea of always being early adopters, especially when it comes to technology. They wanted to know how to find and apply new technologies for the benefit of their businesses. As a large organization, the variety of perspectives from your pool of employees is an incredible resource to tap into for ideas for new products, services, ideas or better organizational ways of doing things. To crowdsource ideas from a community or within an organization, innovation leaders will host Idea Competitions. Innovation Centers have two primary purposes. The first is to establish a physical space for the tools or technologies used for innovation as well as to showcase the fruits of innovation – most often a company’s latest products. Secondly, an Innovation Center serves as a space for gathering, brainstorming sessions or hosting innovation events. An innovation event is a good way to either identify people within an organization interested in contributing to innovation or to engage people unfamiliar with innovation. Larger organizations are beginning to embrace mindsets for innovation, rather than an entire company culture of innovation. A mindset for innovation is the understanding that not everybody within an organization is familiar with or interested in innovation, but leveraging those who are. What I’ve started to see is organizations starting small – taking the handful of people within the organization interested in innovation and using them to engage with the rest of the organization through innovation events such as hackathons or Shark Tank-style pitch sessions. I have also noticed larger organizations training employees to be dedicated innovation facilitators, trainers or coaches. Since Design Thinking has become really popular within organizations, many have begun training employees specifically to facilitate design sprints or other design thinking events. These trends came from interviews with over 100 innovation leaders at organizations. Since VP or Director of Innovation isn’t a title that has been around long (and still isn’t very common), it seems like these innovation leaders (either formally or informally) come from one of two backgrounds within their organization. An innovation leader might come from an innovation and design thinking background or they might come from leadership already within the organization. Good organizational leaders understand the business, strategy and moving the organization forward, but typically need to gain competency in innovation processes, design thinking, lean startup, agile, and other innovation approaches. While those coming from a product design, ux, or product management background may know the design thinking, lean startup, agile, they have an opportunity to understand how their expertise fits with the business, strategy, and how to engage others in innovation. 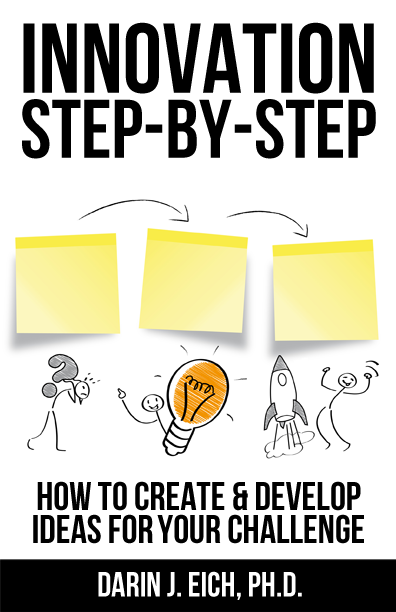 Need help with organizational innovation? Email Darin, the article author, at Darin at innovationtraining.org about organizational innovation and creating a more innovative culture. 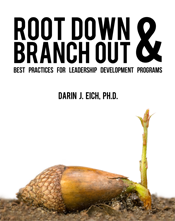 Darin Eich is the author of Innovation Step-by-Step: How to Create & Develop Ideas for your Challenge and Root Down & Branch Out: Best Practices for Leadership Development Programs and has a Ph.D. from the University of Wisconsin. Darin was also the president and co-founder of BrainReactions, InnovationTraining.org, and other startups. 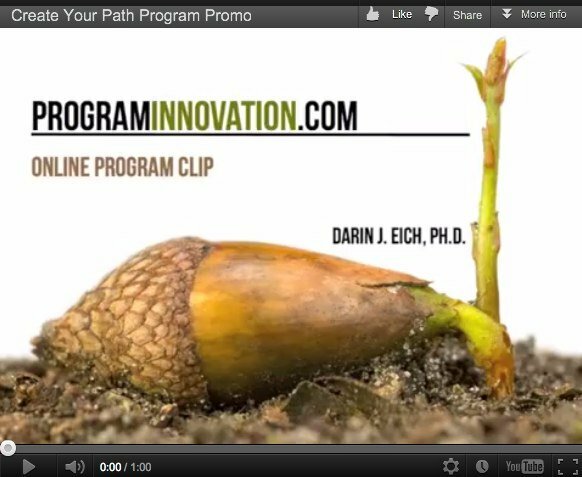 Darin gives speeches and can be hired to help your institution facilitate, create, and develop innovation programs, courses, retreats, and even conduct assessment or coach staff on developing leadership programs. Visit Innovation Training to see for yourself or email darin@programinnovation.com.